2019 is off to a very good start for Luxembourg start-ups. 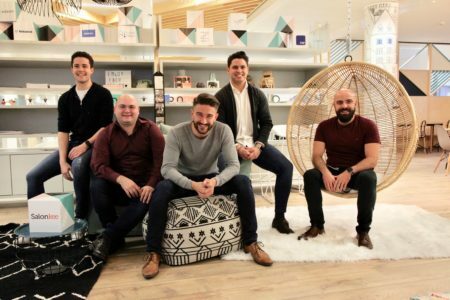 Only a few days after Passbolt, which announced a fundraising of €460,000, it is Salonkee‘s turn to close a round of funding totalling €1 million. While the former succeeded in finding its investors within the Greater Region, the latter secured a 100% Luxembourg funding. Among the investors who put their trust in the young company based in the Luxembourg City Incubator is the Digital Tech Fund, the public-private seed fund managed by the venture capital company Expon Capital. The other investors are business angels. The young start-up will use this new capital to improve its product and develop its team. However, Salonkee’s main objective is to launch its offer internationally, even if for the moment the small company is not disclosing the markets it is targeting. Launched in March 2017, Salonkee has developed an appointment booking platform for hairdressers and beauty and wellness institutes. It already has more than 66,000 online appointments booked for Luxembourg alone. However, the strong point of the start-up is to offer an integrated management software for its professional customers. For hairdressers and beauty and wellness institutes, Salonkee is not only a reservation management system, but also and above all a tool for personnel, inventory and accounting management. Salonkee had successfully participated in Luxinnovation’s Fit 4 Start programme last spring.